Phuket surfing - the waves await you - LIVE LOVE SURF! 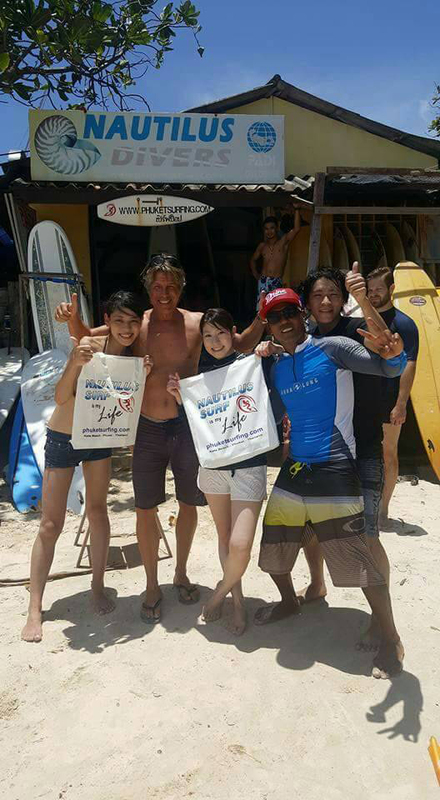 Phuket surfing – the waves await you – LIVE LOVE SURF! What is a good beach vacation without activity and a bit of thrill? Right. It’s boring. We love sunbathing just as the next fellow, don’t get us wrong. Sipping cold drinks, indulge in a good book or magazine, chatting with friends or family, enjoying the nice sea breeze, kick back and relax – good times. Good times indeed. After a while however, you’ll probably get the feeling that you are missing some excitement, some fun and variation – a change of pace from the usual holiday-tranquility. Well, then come with us and catch the next wave instead! You will love our location and our staff, we can guarantee you that. Breathtaking views, unforgettable experiences, perfect waves, great fun with other attendees – all that you’ll get when signing up for one of our courses. While teaching you surfing, we take care that you enjoy it, feeling entertained and amused, so you are learning with plenty of fun. We are not about surf school, we are about surf holidays. Our guides make sure to constantly check the weather conditions, in order to make sure where the best waves are located, so you always know what time it is – surf o’ clock! Our guides are not only good surfers with local knowledge and not only well-experienced instructors who take care about your learning process, adjusted to your own personal flow. All of them are also easy going, friendly and nice guys. 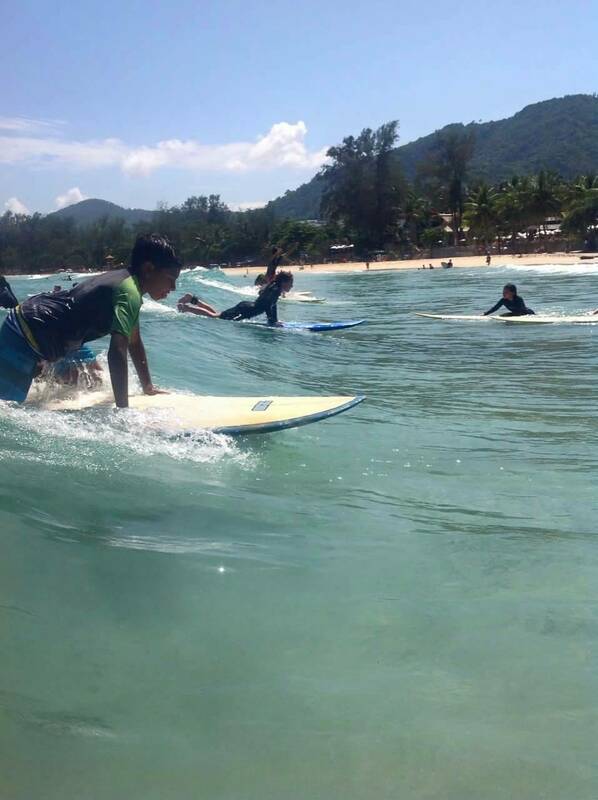 With its unique culture, remarkable landscape, great surf schools and chill vibe, Phuket Surfing does not only offer incredible surf, but also an experience that will last you a lifetime. Make sure to check out our Facebook page where you can see plenty of surfing videos, the waves, the courses, the staff and the location. We constantly keep adding new content for you, so you’re sure to always get the latest news from our surf shop in Phuket. Check it out here: FACEBOOK PAGE Are you ready to surf at a beautiful beach, on perfect waves in warm and safe waters? 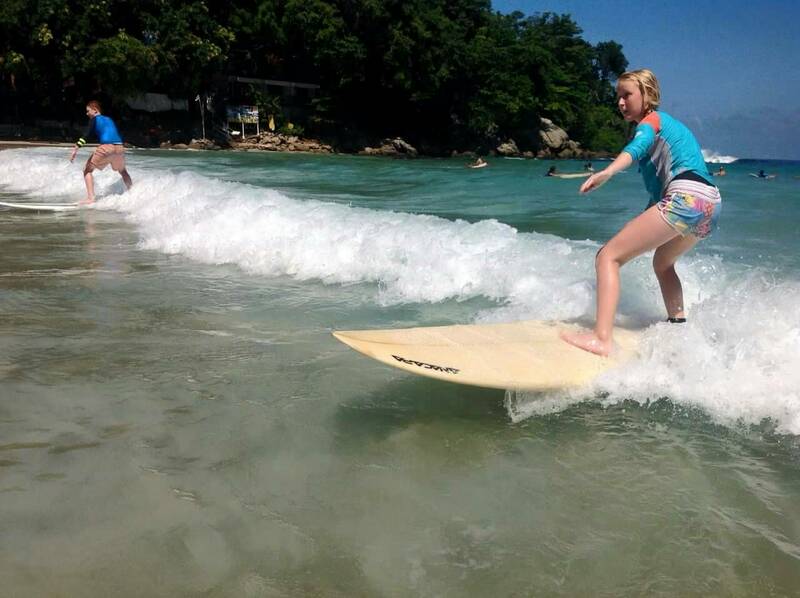 The waves of the Andaman Sea of Phuket awaits you and your surfboard. 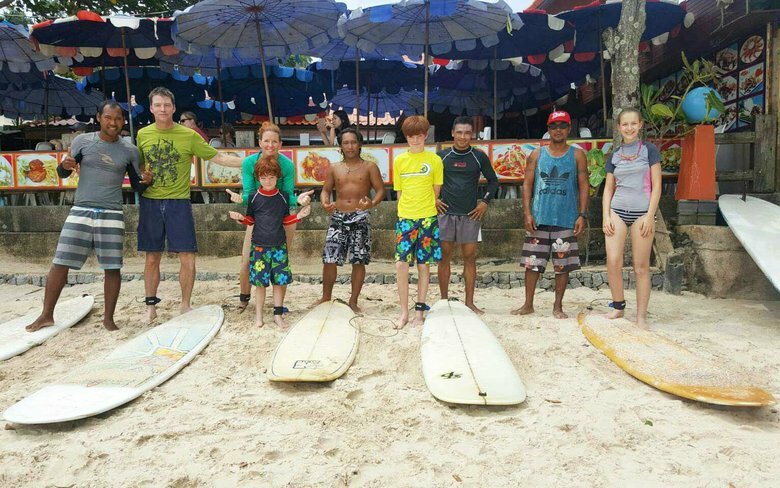 If surfing is not for you, and you’d rather try to surf on a shortboard, longboard, fun-board, boogie board, skimboard or would like to try a Stand Up Paddle (SUP) tour – the choices are plentiful here at Phuket Surfing. As the saying goes: “If there’s a will there is a wave” – When will you come and catch the next wave with us? Home is where the waves are – let’s make you feel right at home! Special offers – because life is better when you surf! three things: your body, a surf-board and a wave. THB 1,300 for 1 1/2 hours. Now is the perfect time to learn how to surf! See you on the next wave!